I just love Earth Day. It's a day of so much promise and appreciation. We've been celebrating the Earth all week long. And remember our nature walk? 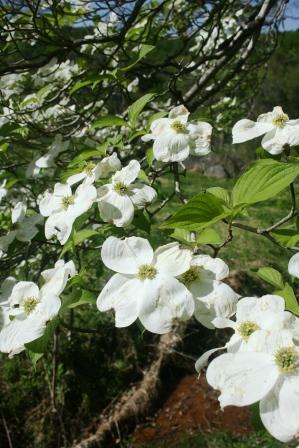 We found this beautiful Dogwood tree, in full bloom. It's our state tree. So it inspired a craft. 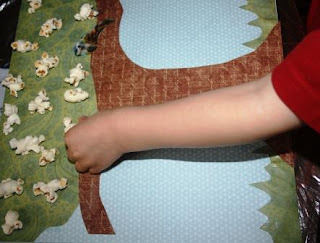 Check out this very cute idea I found to make an Earth Day snack of edible dirt. Speaking of snacking, we also read The Very Hungry Caterpillar and were inspired to create our own caterpillar. I think this is one of those crafts that every kid makes at least once in childhood. But it never seems to lose its charm, you know? ps. I posted my giveaway! You are so creative with the crafts, va. Looks like you guys had lots of fun. Love the caterpillar, I will have to remember that when Olivia gets older! Happy Earth Day!! 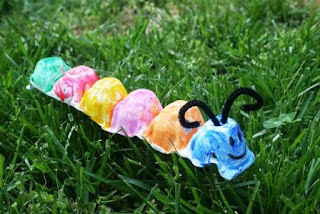 I love it too : ) CUTE caterpillar, we're going to have to do that over here . 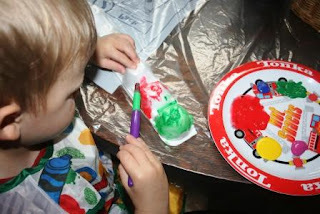 . .
edible crafts are the absolute best! I think that's why I like making homemade glue so much!